A friend and colleague said to me at a recent professional conference that she doesn’t believe in work-life balance, rather she looks for work-life harmony. If that didn’t capture exactly what I’ve been trying to say to students and other colleagues for so long, I don’t know what could! This is not a new concept, but one I’ve been trying to re-frame personally. Then a few days later I read an article in Business Insider saying the exact same thing. The CEO of Amazon expresses some of these same sentiments. When you find your true calling and passion, it gets very difficult to turn work or life outside of work on and off. To try to do so is self-defeating. The difference is not trivial. The clues are in the definitions and synonyms you find through a simple web search. Balance is about even distribution and equilibrium. It connotes impartiality. Harmony, meanwhile, is about agreement, combination, and even peace. What words would you rather choose or embrace related to the relationship between work and life? I really appreciated this author’s very personal and practical take on Balance vs. Harmony. I’m curious how those of you reading this experience work-life harmony. Is there a real difference? What do you actually do to achieve harmony? Whatever you feelings about this – know that it is OK that your work and non-work intersect. Embrace it; understand it is messy and sometimes confusing; and at the end of the day try to achieve harmony between the two. 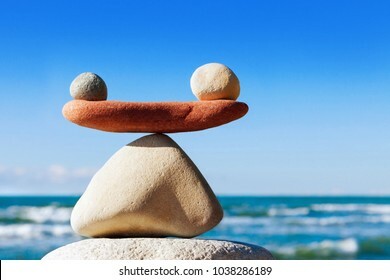 You spend so much time thinking about or doing work, it just seems to make sense that you seek harmony as opposed to some artificial sense of balance.